Gary Arnold has been President and Head of School at Little Rock Christian Academy since 2007. For over twenty five years, Dr. Arnold served as head of school for independent Christian schools in Cape Cod, MA and the suburbs of Chicago, IL. Before joining LRCA, Dr. Arnold served as Executive Director of the Wisconsin Council for Religious and Independent Schools (WCRIS) and the Executive Director of the Illinois Coalition for Non-Public School (ICNS), as a registered advocate for private education. In addition, he served as an adjunct Professor at Concordia University and Trinity International University in IL. Lynn Beardsley serves as Little Rock Christian Academy's Director of Fine Arts and provides leadership for the school's K4-12 Fine Arts initiatives. She is thrilled to work with the creative and talented faculty in the performing and studio art programs on our campus. Lynn has a Bachelor's Degree from Harding University in Searcy, AR and brings extensive experience developing processes, programs. and organization for non-profit groups. Married to Scott, they are proud parents to two LRCA Warriors. Heidi Brandt joined the Little Rock Christian team in 2012, and now serves as the Director of Admissions. Mrs. Brandt enjoys building relationships with prospective families, and carefully arranging shadow experience days for prospective students. She earned a Bachelor of Science in Speech Communication and Advertising/Public Relations from Texas Christian University. She cherishes her roles of wife and mother of three busy teenage children. Phillip serves as the Director of Marketing and Communications. Prior to this position Phillip worked in the Business Office from 2011-2015 and served as Director of Digital Learning through the 2017-2018 school year. Phillip graduated from Ouachita Baptist University with a B.A. in Business Administration – Marketing and Finance. He received his M.B.A. from the University of Arkansas Little Rock. Ann Chami has been an established educator at Little Rock Christian Academy for over thirty years. For eighteen years she taught first, second and third grades. She has served in administration for the past seven years, initially as Early Childhood Principal and presently as Lower School Principal. Mrs. Chami provides leadership to over 80 lower school faculty and staff. She excels in her position because of the love God has given her for people and her experience in Christian Education. She earned her B.S.E. in Early Childhood Education from Ouachita Baptist University. Jim Fink joined Little Rock Christian Academy in 2010 as the interim Chief Financial Officer and quickly knew that God was calling him to LRCA for his next career home. His responsibilities now include financial accounting and control, plant facilities, human resources, and safeguarding the schools operations and assets. For almost thirty years, he served as executive vice president, president and/or CFO at distinguished companies such as Ernst and Young, TCBY, Americana Foods Inc., and Yarnell’s Premium Ice Cream. He earned his B.A. from Rhodes College (TN) where he played college baseball and football. Cindy McLeod has served in the Advancement office since 2013. Prior to joining the staff of LRCA in 2009, Mrs. McLeod served on the school’s Board of Trust for six years. She has a background in Business Administration-Finance, with a B.S. from Auburn University. Cindy currently serves as the Director of Development. Funding the mission and vision of Little Rock Christian Academy is dear to her heart, as we prepare and send out graduates to impact the state, our country and the world. Dr. Smith brings a tremendous array of spiritual, educational, professional and personal experience to LRCA. A graduate of the University of San Diego, Dr. Smith earned his doctorate in Educational Leadership from Sam Houston State. He has led well in administration, teaching and coaching. With a number of published articles and peer-reviewed presentations on record, he also received such honors as the Excellence in Superintendency Program Award from Sam Houston State University and recognition as The Woodlands Preparatory School's Most Inspirational Educator. 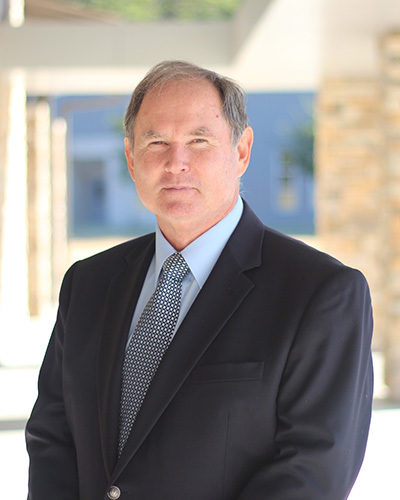 Dr. Smith currently serves as the Upper School Principal. Johnny Watson has been LRCA’S Athletic Director since 2008 after serving the school as Head Football Coach and Track Coach. He is responsible for recruiting and leading coaches and athletic staff. Coach Watson brings an outstanding reputation as coach and as Athletic Director for over 40 years in Arkansas high schools.